Questions have been raised over why controversial plans to build more than 60 new homes were pulled from a council agenda at the last minute. 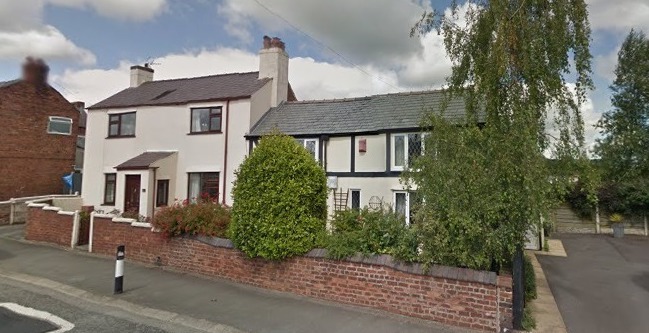 Members of Flintshire Council’s planning committee were originally told they would debate an application to demolish one house on Drury Lane, Drury and create 66 new ones on land nearby at their meeting this week. In a report which was given to councillors in private, the proposals were recommended for refusal by planning officers. However, when the public agenda was published last week the development put forward by Muller Property was no longer included. Cllr Mike Peers (Ind), who represents the Buckley Pentrobin ward, raised concerns about the late withdrawal at Wednesday’s meeting. He said: “The agenda before us is not the agenda that I received on Monday of last week. “There was an item on an outline application for the demolition of 81 Drury Lane with the officer’s recommendation for refusal. “When the agenda appeared on Thursday this item was missing. “In fairness to the officer he advised me that late on Wednesday there had been correspondence received from the applicant with legal advice on the application itself. “Bare in mind on Monday that the officer had declared his recommendation for refusal it does seem odd that on Wednesday we received correspondence which further delayed this application. The proposals have been met with stern opposition by community members, who say that GP appointments and school places are already difficult to access. Concerns have also been raised about plans to demolish the property at 81 Drury Lane, which is joined onto a neighbouring home. However, Muller previously claimed that approval of the outline application would deliver ‘much needed’ new homes. In response to the issue raised by Cllr Peers about the application’s removal from the agenda, the authority’s chief planning officer said it wasn’t felt ‘safe’ to include it in light of the legal advice received from the developers. Andrew Farrow said: “Cllr Peers is quite right that a call over that particular item was ready to come to committee. “The exceptional thing that happened on this occasion was we received some significant late information from the applicant prior to the public publication of the reports. “We didn’t have the time to take that information into account prior to putting that report into print and into publication. “We didn’t think it would be safe to do that. It is not yet known when the proposals will be rescheduled to go before the committee.